The value of a college education is more than a means to a good-paying job. But intangible benefits aside, recent data show that the monetary value of a four-year degree, as measured by average lifetime earnings of college graduates, has never been higher. This is important to consider because the serious matter of mounting student loan debt—which in the United States has topped the $1 trillion mark (a topic covered here)—can be misleading. The average amount of debt that a student who borrowed for college owes upon graduation from a four-year institution is $25,000. That may seem like a lot, but it is a small fraction of the economic benefits that will accrue over a lifetime to a typical college graduate. According to Department of Labor statistics for 2013, average hourly earnings for Americans with four-year degrees were 98 percent higher than for those without a degree. This figure has risen steadily for the last 30 years. And the most recent gains occurred even as the number of college graduates also has risen—and despite the Great Recession. Meanwhile, the wages of those who attended some college but did not get a four-year degree have not increased. This article updates the argument that, over a lifetime, for most people a college education is well worth the price. This report strongly endorses the value of a college education, with findings in such areas as earnings, economic independence, and job satisfaction. This article answers with a nuanced Yes, while providing much food for thought. 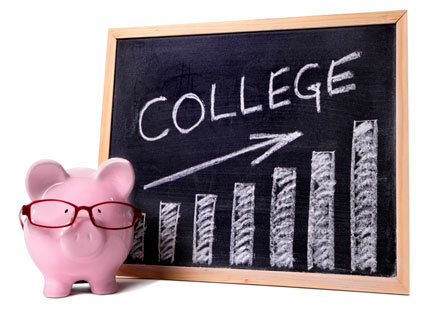 2013 College Education ROI Rankings: Does a Degree Always Pay Off? This website ranks more than 1,000 universities to determine the financial return on investment (ROI), given tuition costs and median expected lifetime earnings associated with the schools; includes detailed rankings and comparisons by region, by school type (e.g., engineering, Ivy League, business, state, liberal arts), and by major, and includes a slideshow on ROI by gender.